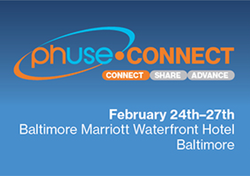 Wright Avenue is starting this year's events agenda by attending the PhUSE US Connect 2019 conference. The clinical data science conference will take place at the Baltimore Marriott Waterfront Hotel, in Baltimore, MD, from February 24th to 27th. During the event, clinical data scientists will come together to conduct and observe inspirational keynote presentations and conference streams while networking among industry specialists. Don't miss your chance to connect with Wright Avenue while attending the conference. We are excited to meet you and exchange new ideas and developments in the industry. To register or learn more about the event, visit https://www.phuse.eu/us-connect19. To schedule a meeting with Wright Avenue at the event, email us at careers@wrightave.com. About PhUSE: PhUSE is a global, not-for-profit, organization, that over the last 15 years has become a recognized industry voice for regulatory agencies such as the FDA, EMA, and PMDA. Providing the industry with the premier platform for creating and sharing ideas, tools, and standards around data, statistical and reporting technologies; PhUSE is a community of professionals who are passionate about the advancement of clinical information.